Do you find yourself adding the same name and contact info into several lists? You get a new lead. 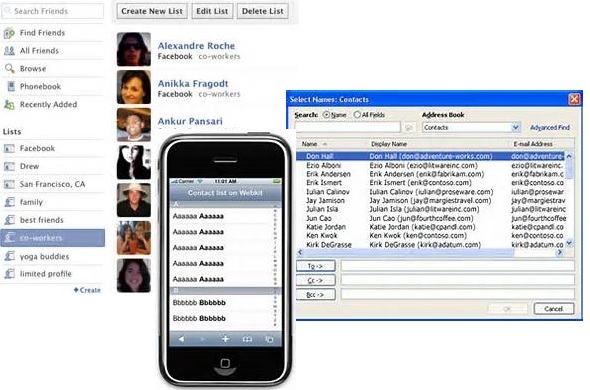 You add them to your contact list or Customer Relationship Management (CRM) system. You want them to receive your eNewsletter so you add them to your email list app. Then, they become a customer so you add them to your bookkeeping program. The fastest way you know how to do all of this is via Cut & Paste or manually entering it in – piece by piece: name, address, phone, email, etc. Each of these methods takes TIME and you risk making entry ERRORS. software perfectly manages the order and invoicing process, lets you know who owes you money, and who bought which product or service. But, you’re left with the problem of having to enter the basic contact info three different times. Or, you’re looking for them in one place only to find they haven’t been added yet so, you hunt down the information to do so! Frustrating! such as how often the transfers take place, whether there’s new or changed information and others. Setup can be tricky depending upon which apps you use for your CRM, eMail and accounting, but it seems we’re moving in the right direction to solve this age-old problem!